Around the world, millions of people have undergone LASIK surgery. It is a very effective procedure, which uses a laser beam to reshape the transparent covering at the front of the eye called the cornea. LASIK was introduced in the late 1990s, and essentially involves creating a very thin ‘corneal flap’, and then using a special ‘excimer’ laser on the cornea under the flap. Although LASIK is a very successful procedure, many people are concerned about undergoing surgery. Some patients have reported problems such as difficulty seeing at night and dry eyes after surgery. There is the potential of leaving behind some of the spectacle power that was to be treated, and a very small risk of infection. Such issues are of foremost importance at Jerry Tan Eye Surgery. Prospective patients undergo a comprehensive assessment to check their spectacle power, corneal shape and general health of the eye. Spectacle power is checked both without and with special eyedrops which relax the muscles of the eye so that the reading is as accurate as possible. Once the assessment is complete, careful planning of the procedure is performed. Surgery at Jerry Tan Eye Surgery is normally performed one eye at a time. This enhances safety because there is no chance of infection in both eyes at the same time, even though the risk of this happening is extremely small. 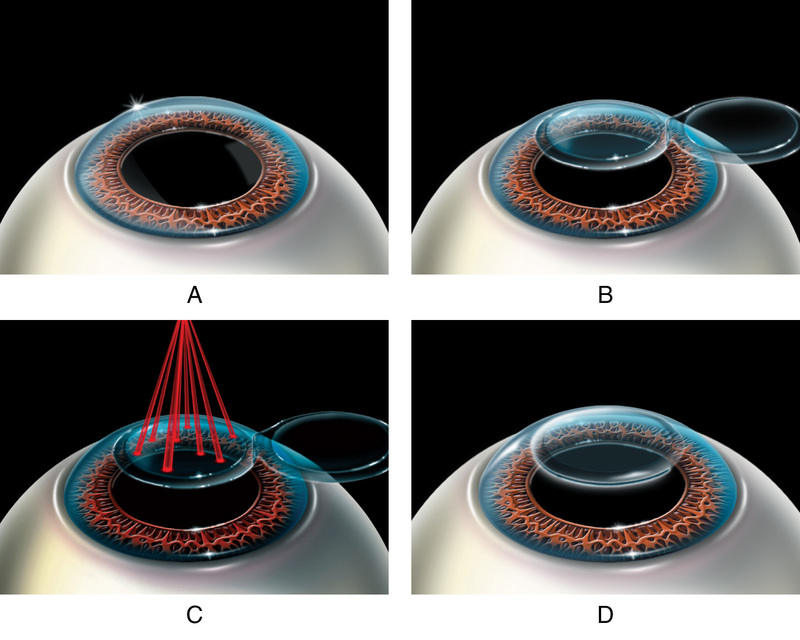 Furthermore, it allows fine adjustment of the treatment for the second eye, for a more accurate result. The traditional method of creating a corneal flap made use of a special blade called a ‘microkeratome’. However, the corneal flap that was created was sometimes uneven, resulting in less optimal outcomes. At our clinic, most cases now have their corneal flaps made by a special laser - the femtosecond laser. 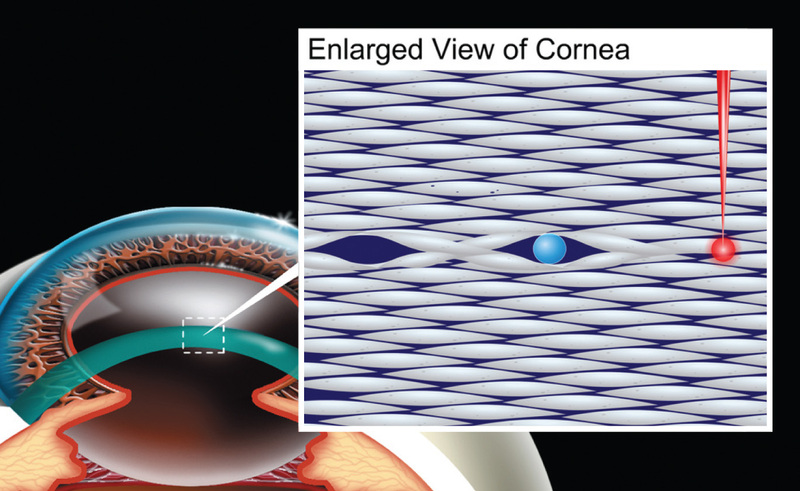 It creates a series of bubbles in a perfectly uniform plane in the cornea. This allows a flap to be lifted, much like how a stamp can be torn in a straight line. The resulting flap is much more even in thickness and diameter. Older femtosecond lasers worked very slowly, but the iFS laser at Jerry Tan Eye Surgery creates corneal flaps in 10-15 seconds, minimizing patient discomfort while ensuring better vision after surgery. 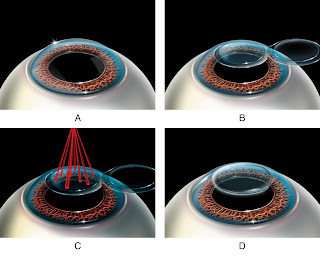 After a corneal flap is created and lifted, an excimer laser is used to reshape the cornea. 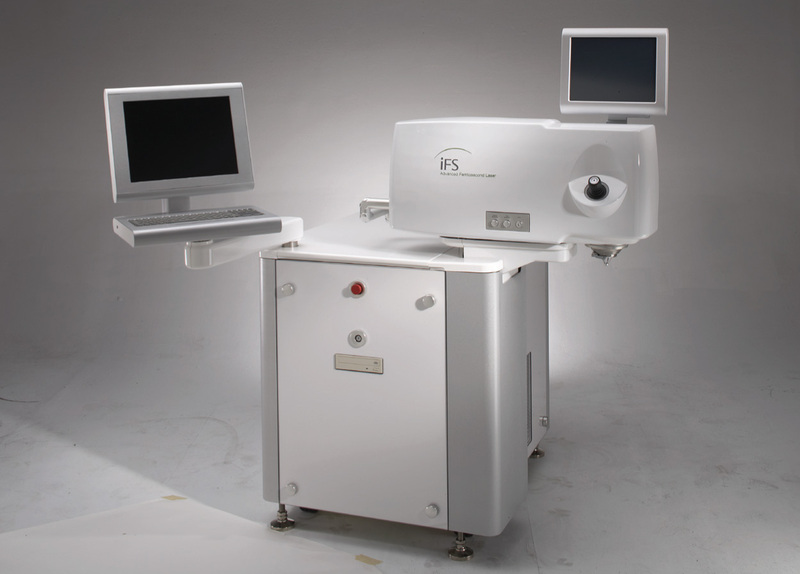 Modern lasers work very fast, and the new Schwind Amaris laser at Jerry Tan Eye Surgery works at 750 times a second. This means that 100 degrees of short-sightedness is corrected in 1.5 seconds. The Amaris laser also tracks eye movements at 1050 times a second in 6 dimensions, ensuring very accurate placement of the laser treatment. For most patients, the actual surgery takes a surprisingly short time in comparison to the time spent on assessment and planning. At Jerry Tan Eye Surgery our results show that for patients with between 100-700 degrees of shortsightedness, 89% achieved perfect vision (6/6) or better. 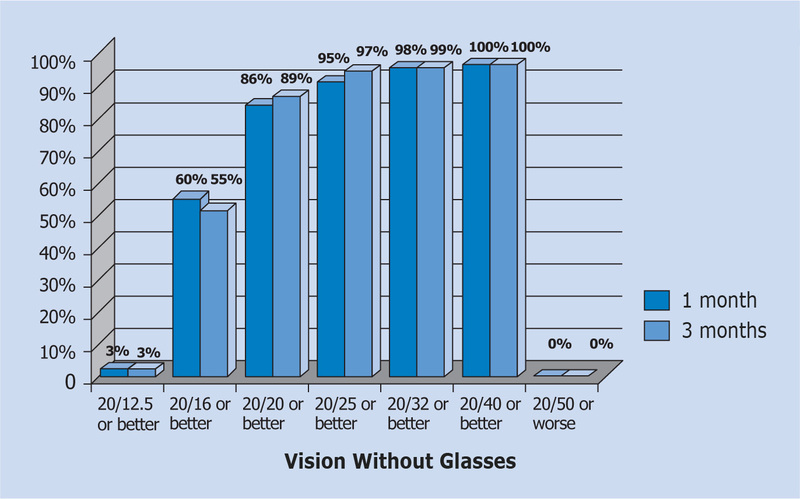 55% achieved better than perfect vision. 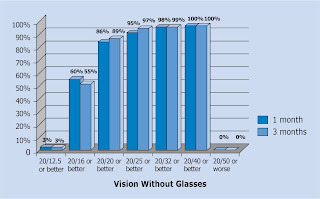 After LASIK, 84% achieved refraction within 25 degrees of 0, and 97% were within 50 degrees of the intended final power. In order to avoid night time glare and haloes after surgery, we have developed ‘PerfectShape®’ LASIK at Jerry Tan Eye Surgery. 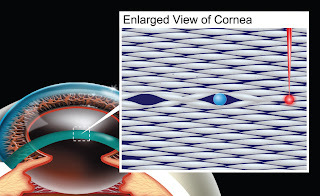 In most traditional ways of performing LASIK, the cornea becomes more curved at the sides after treatment, and this causes poor focusing of light in the dark, when the pupils of the eye become big. PerfectShape® LASIK preserves the natural corneal contour as much as possible while using special corneal maps to guide the laser to smooth out any unevenness of the corneal surface. With PerfectShape® LASIK, night vision was the same or better after LASIK in 90% of our patients, which is remarkable considering that only a few years ago standard LASIK was causing glare and halos in many patients. In fact, PerfectShape® LASIK can be used to reduce night vision problems in many patients who had their LASIK done with older lasers. A common problem encountered by LASIK patients after surgery is dry eyes. This is related to a disturbance of the eye’s surface caused by surgery. While it normally improves over several months as the eye heals, it can cause blurred vision and eye irritation. In our practice, this problem is less serious because we temporarily plug one of the tear drainage channels. This helps preserve the patient’s own tears on the surface of the eye. Patients who are older than 40 years of age and undergo LASIK will have good vision for things far away, but near vision is not as good. This is due to presbyopia or ‘old sight’ (rabun tua). This cannot be cured by LASIK. We believe that the best way to reduce the need for reading glasses is ‘monovision’, which means that the LASIK is performed so that some shortsightedness is purposely left behind in one eye. Although with monovision only one eye has clear vision for distance and the other eye has clear vision for near, when both eyes are open all distances are generally sharp. In summary, LASIK as a method for correcting vision continues to be refined, leading to better outcomes and fewer side effects for patients. Femtosecond laser corneal flaps and customised excimer treatments with the latest excimer lasers bring us closer to the goal of giving perfect vision to all our patients. The future of refractive surgery will bring further innovations, however, they will have to be compared to the gold standard which is current LASIK surgery.